“Neiespējamais butō tulkojums fotogrāfijā [The Impossibility of Capturing Butoh in Photography],” in S. Orinska (ed. ), Butoh. Riga: Mansards, 2015, 68-79. ISBN 9789934121098. In Latvian. Available from the publisher's website. I’m grateful to Simona Orinska, the editor of this book and a butoh artist, for inviting me to contribute to this volume and to think about such a challenging topic. Since 2011, when Orinska conceived the idea of the book and solicited the first drafts of the articles, I’ve had many chances to return to the topic and ask myself, how can I describe the relationships between butoh, a performance based on movement and emotion, and photography, a medium that freezes movement and removes all emotions? 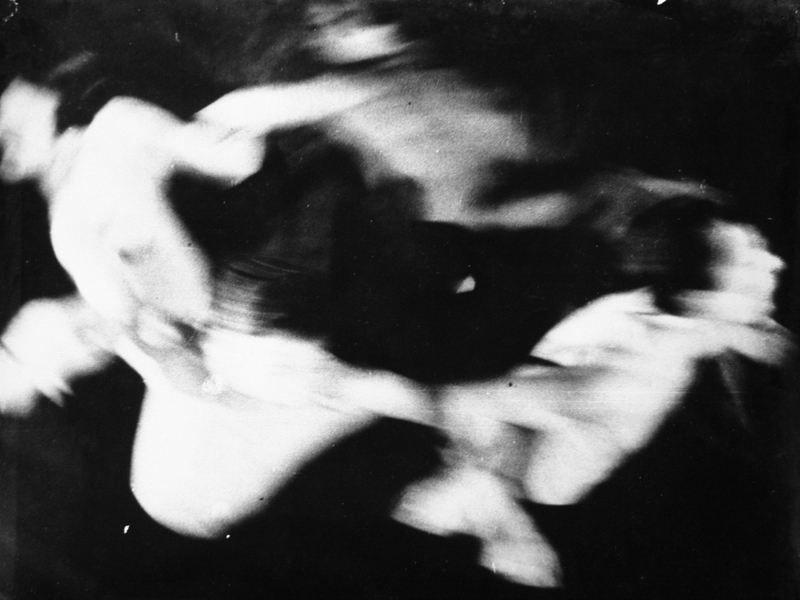 To address this question, in this article I revisit theoretical writings about the depiction of movement and dance in photography. I introduce a comparative reading of Kamaitachi (1968), a well-known series of photographs by Japanese photographer, Eikoh Hosoe (b. 1933), and Riga Pantomime (1964-1965), an almost unknown series by Latvian photographer and artist, Zenta Dzividzinska (1944-2011). This comparison brings to the fore a similarly heightened expressivity of human body and face that photographers captured in two different cultures: in butoh of the postwar Japan and pantomime in Latvia under the oppressive Soviet regime. Can there be two more different cultures as these? But a totally unexpected meeting point of these cultures appears in a photograph by Zenta Dzividzinska, Hiroshima (1964-1965), taken at a rehearsal of eponymous performance by pantomime troupe Riga Pantomime. Zenta Dzividzinska (1944-2011, Latvian). Hiroshima. 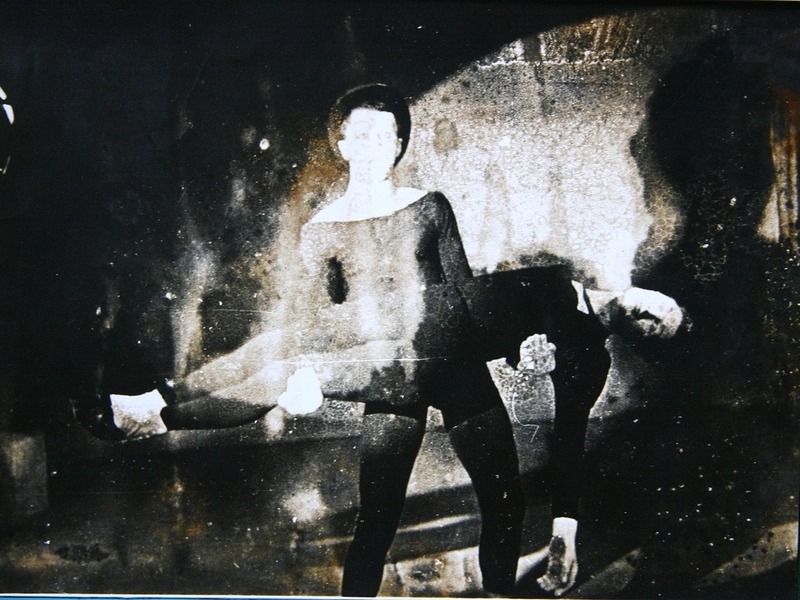 From the series Riga Pantomime, 1964-1965. 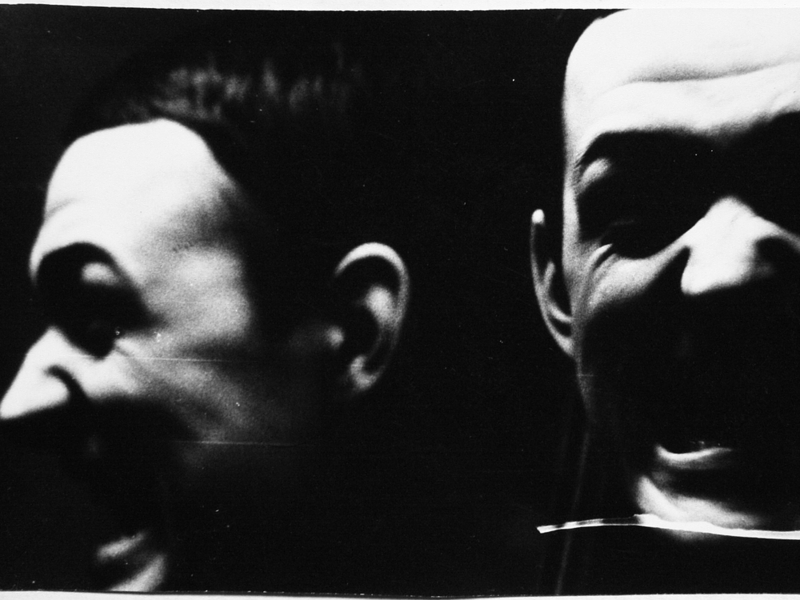 See below more photographs by Zenta Dzividzinska from the series Riga Pantomime (1964-1965). Most of the photographs from this series were never exhibited during the artist's lifetime, but a small selection of vintage prints most recently was included in the exhibition Society Acts (September 20, 2014 - January 25, 2015) at the Moderna Museet, Malmö, Sweden. Read more about this exhibition and my short presentation of Dzividzinska's works at the Moderna Museet.